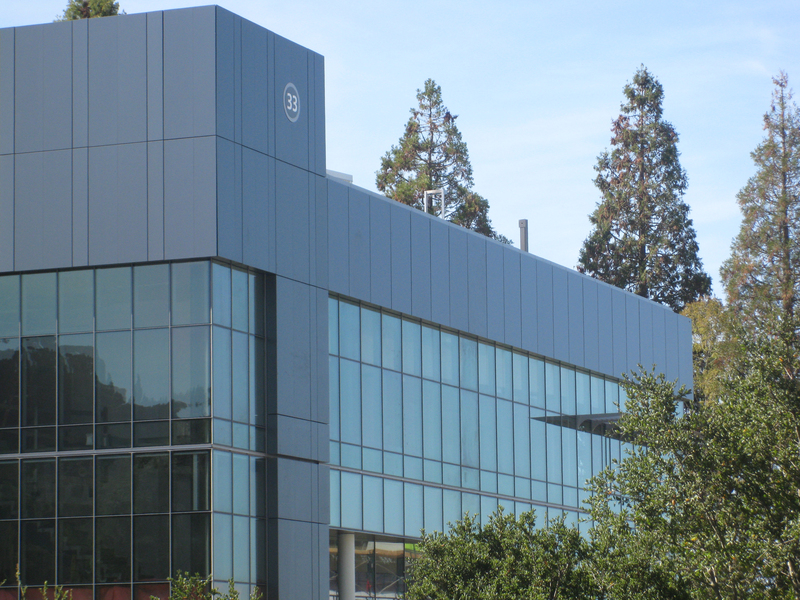 As the first new building to be constructed in 50 years in Lawrence Berkeley National Laboratory’s “Old Town,” the 43,000-square-foot General Purpose Laboratory sets the stage for future redevelopment on this part of campus. When RMW took a hard-hat tour of the GPL (a.k.a. 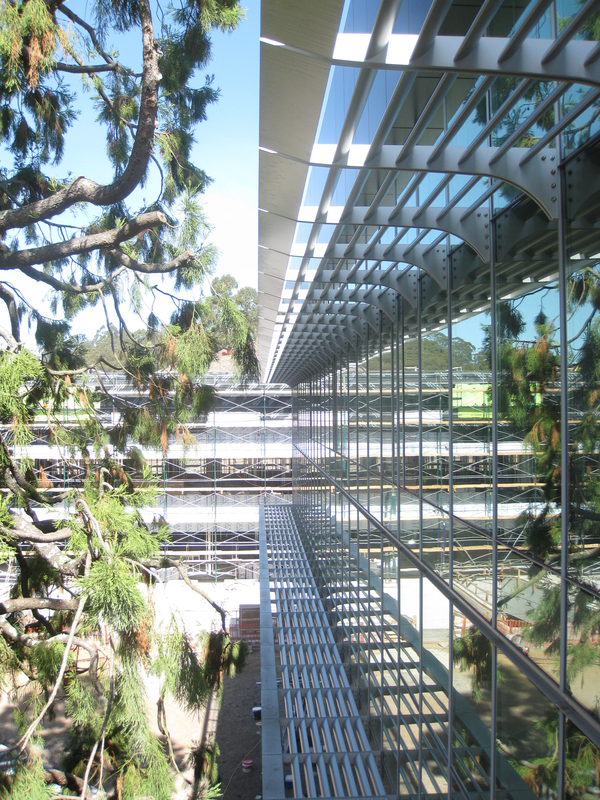 Building 33), we got a peek into how our design team, led by Glenn Bauer and Stan Lew, created the facility to support flexible, collaborative laboratories on a highly constrained site. Building 33 houses laboratories and offices for approximately 120 researchers. Scientists will be collocated from the Life Sciences, Physical Biosciences, Chemical Sciences and Materials Sciences Divisions. Research areas will include cancer and the impact of radiation on cells, fundamental biology, neuroscience, and environmental cleanup. 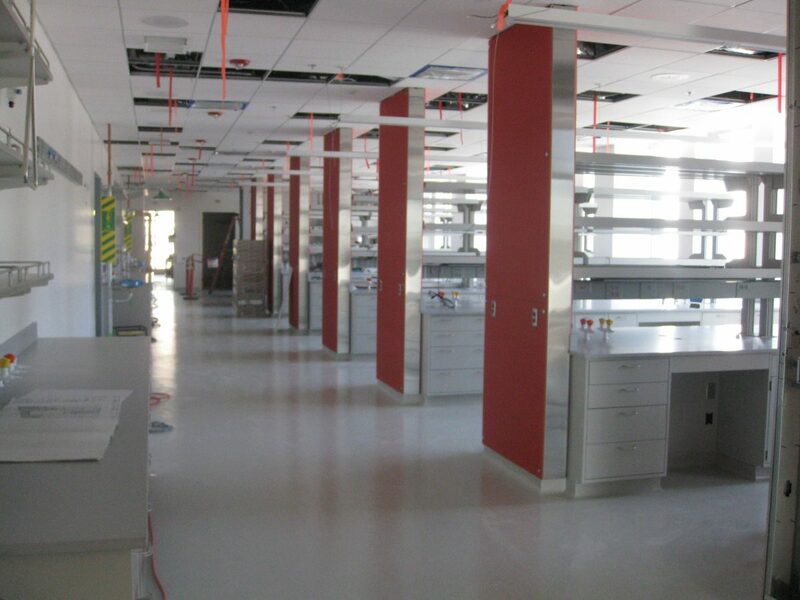 This work is supported by wet lab research space, tissue culture, microscopy and lab support rooms. The idea in housing these different research groups under one roof is to create a collaborative “mixing bowl” that encourages group interaction, resulting in the cross-pollination of ideas. Groups will change as science and mission requirements evolve, and so the labs and offices are designed to accommodate a range of equipment while supporting changing workflow. 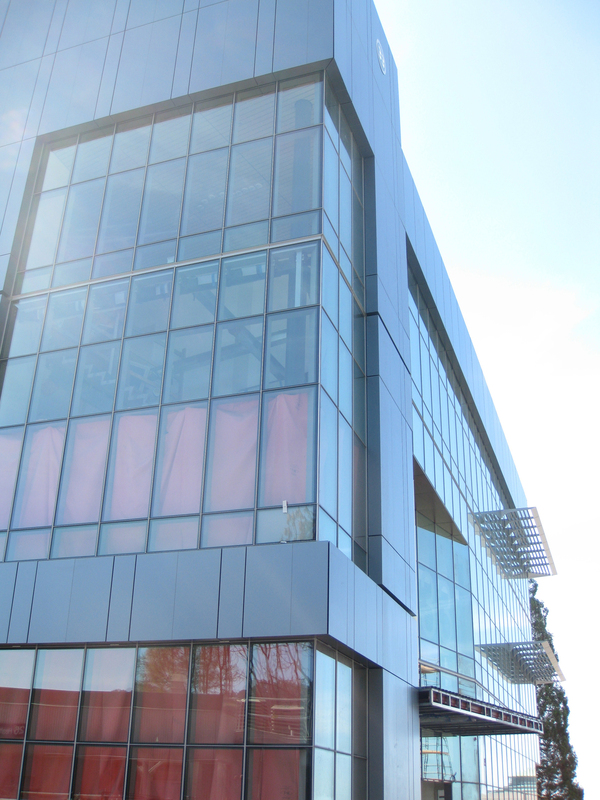 The first thing you see as you approach the GPL is the curtainwall that wraps the building’s main communicating stair. Spanning three stories, with a multi-tiered lighting element, the stair is both an architectural feature and a place for people to meet serendipitously. 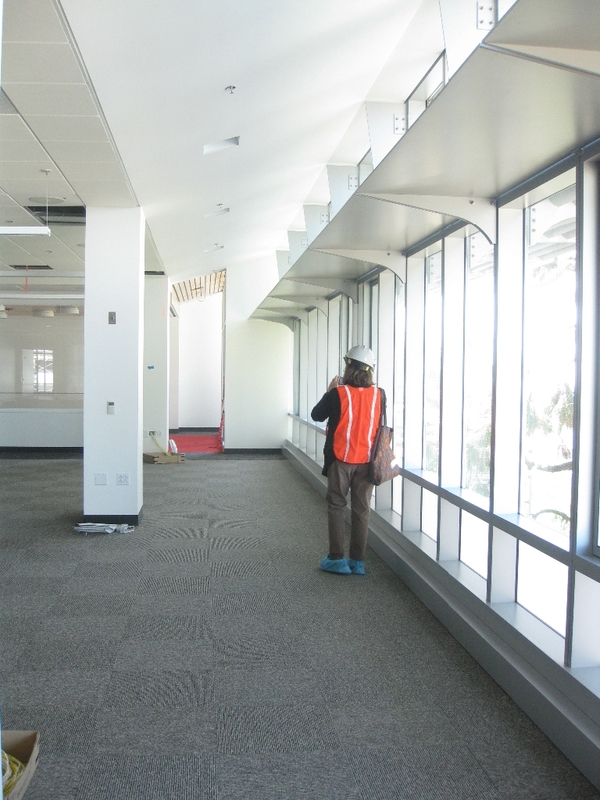 The stair also symbolizes one of the GPL’s themes: transparency. Transparency, both in work processes and in the physical environment, encourages the free flow of ideas, and is essential to the collaborative process. The GPL’s two-story lobby atrium is punctuated by a red-tiled wall that is visible from the outside. 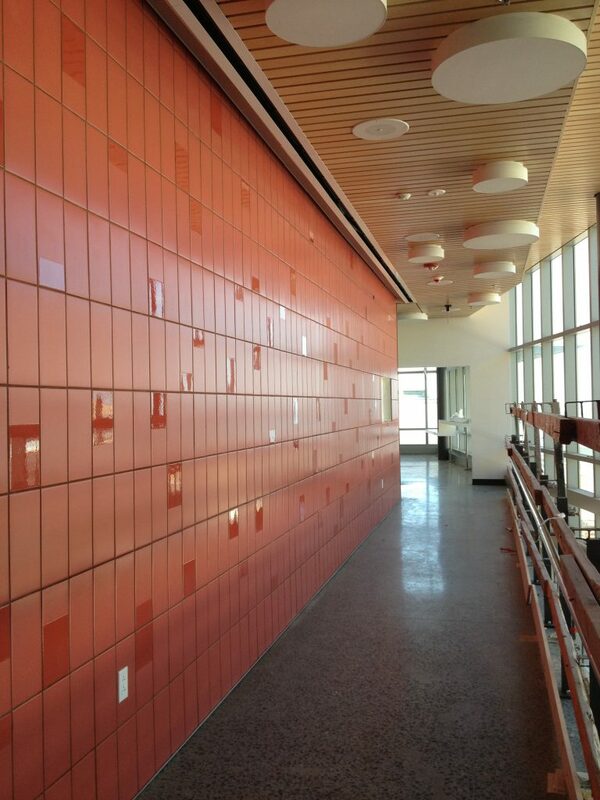 This same red provides an accent color throughout the building, in both lab and office spaces. Approximately 40% of the three-story building is allotted to offices and 60% to laboratories and laboratory support space. 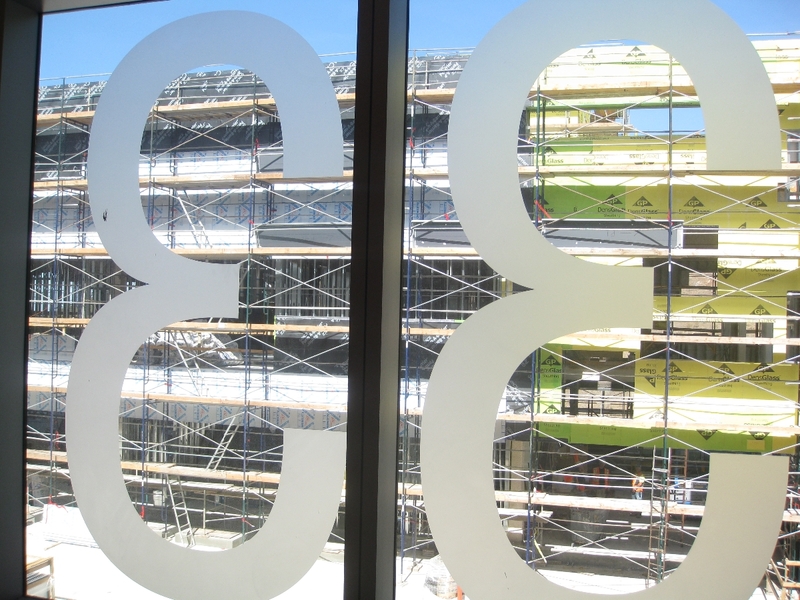 The GPL’s open office environment allows for expansive light-filled space with incredible views. 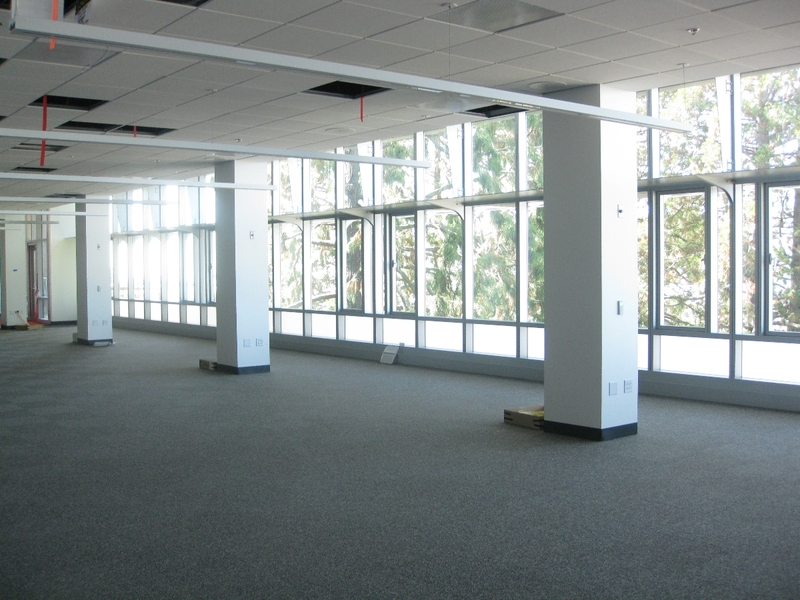 Private offices and meeting rooms have large glass windows, workstations are open plan, and exterior glass window walls bring in natural light and vistas. 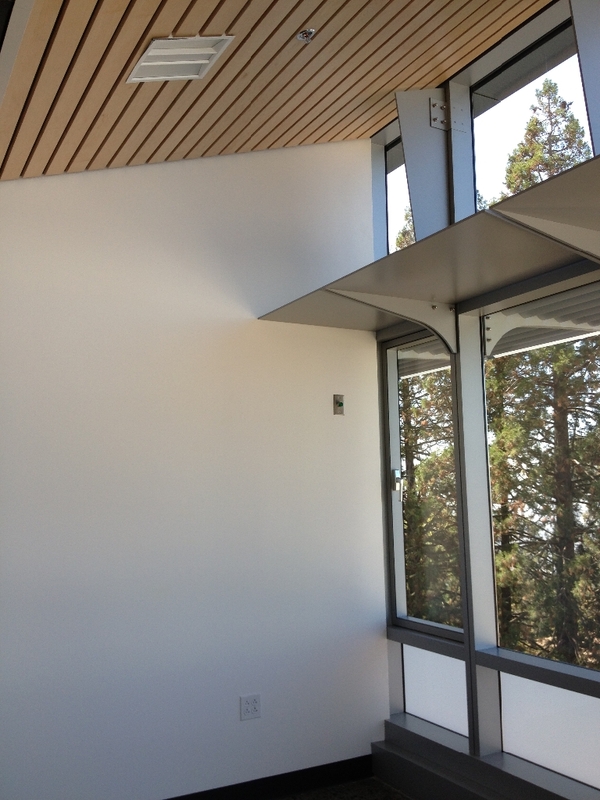 The light is filtered through exterior louvers and bounces off interior light shelves. 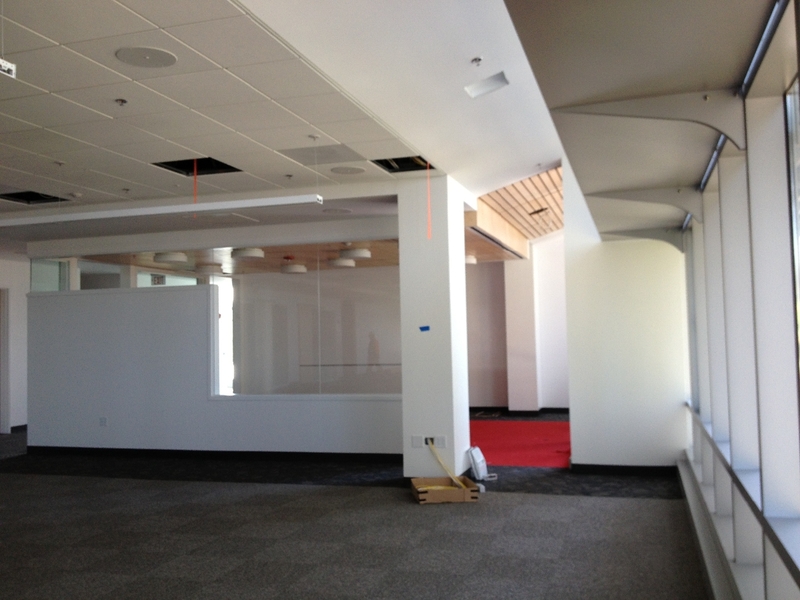 Collaborative areas within the workspace are enclosed with glass and feature walls finished with whiteboard paint. 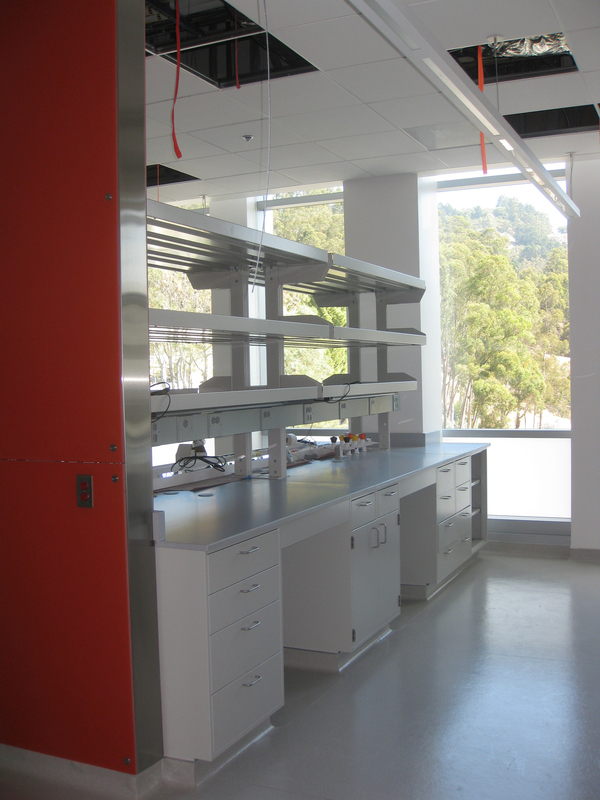 Lab areas take advantage of views, too, with floor-to-ceiling windows. Counter-height opaque panels diffuse direct light. Lab benches are flexible: shelves can be moved or removed, and mechanical hook-ups can be switched up and routed through the overhead service carriers. Laboratories are planned on a regular module to allow for multiple programs to share work equipment. The building will soon be occupied by dynamic scientific research groups that will realize the spirit of collaborative science.